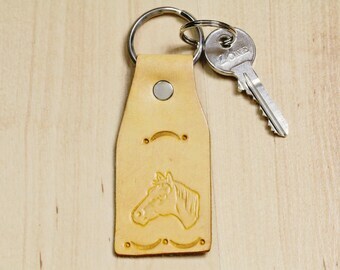 Often searching for keys? This lovely Elephant keychain solves the problem stylishly and makes a really great gift!! 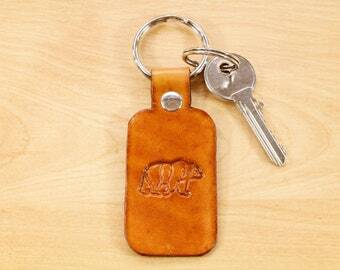 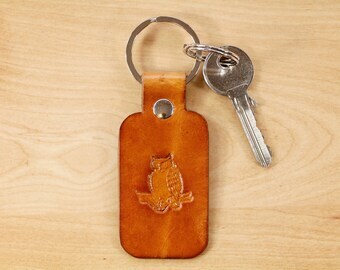 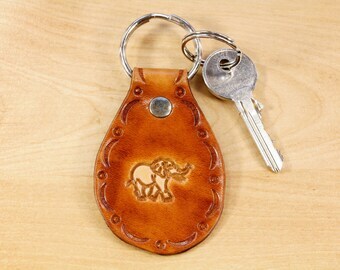 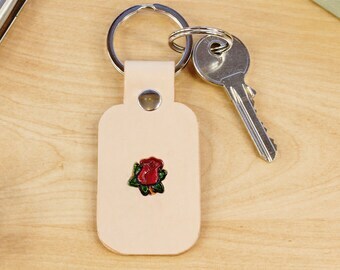 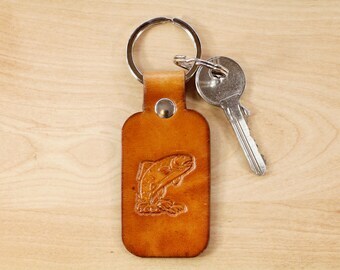 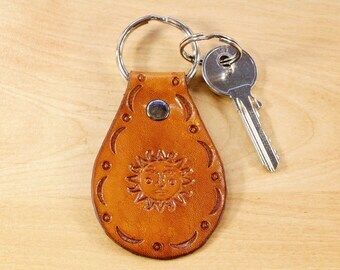 This lovely leather keychain is handmade from premium leather and has a hand stamped elephant. 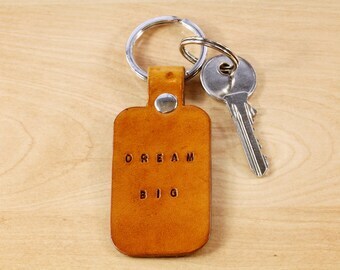 The leather keyring is hand dyed brown on the front and on the reverse. 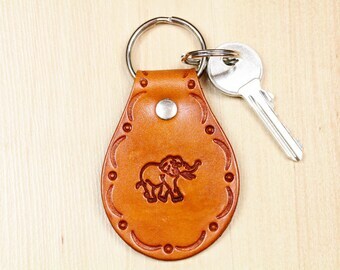 This cute Elephant key fob would make a lovely gift for a girlfriend or any elephant lover. 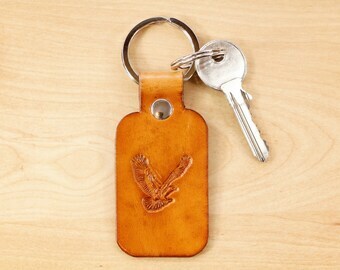 Leather keychains always add style!! 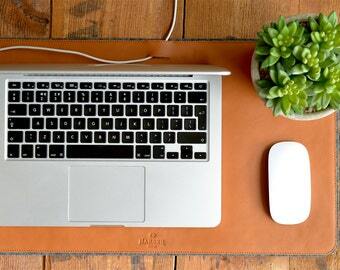 Length of leather approximately 3 & 2/8 inches (8.3 cm). 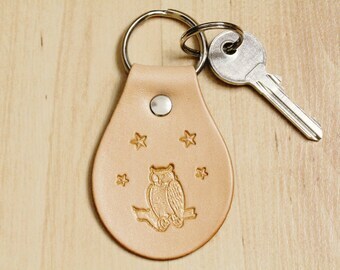 Width of leather approximately 1.5 inches (4 cm). 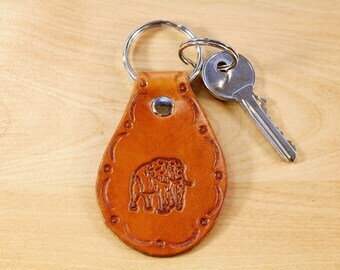 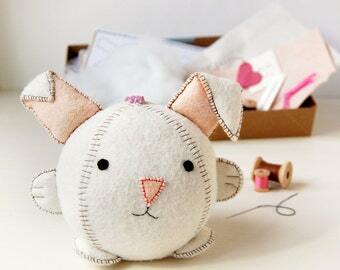 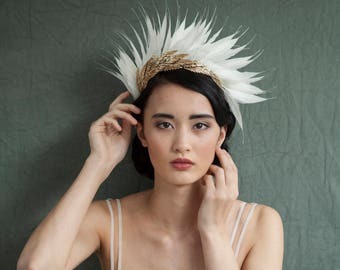 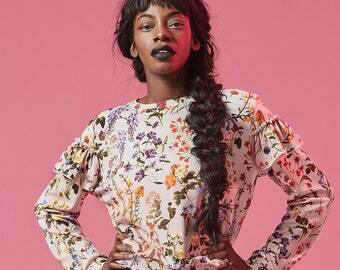 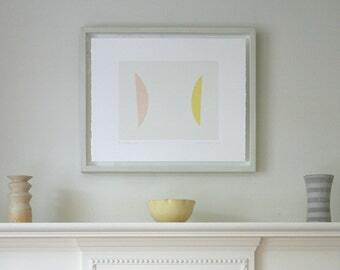 Overall length including the ring approximately 4 & 3/8 inches (11 cm).